Ever wonder why people keep checking out your product or service, but never buy or sign up for them? One mistake that businesses often make is that too often, they assume they know what their customers think about their products or services, and what they want. The most successful businesses recognize that it’s important to get feedback from their customers, because due to competition, their business will not continue to be successful unless they fully satisfy their customers. With this in mind, is your company making this mistake? Are they doing everything they can to get feedback? If your company does try to get feedback, what ways are they using to do so? Depending on who you are soliciting feedback from, and what type of feedback you wish to receive, you may or may not be using the right method. Obviously, customers are the number one group of people you should get feedback from. However, many challenges surface in the process of doing this. First, you need to figure out how you will get feedback from your customers. While all these methods can lead to insightful answers, they often bring forth further challenges. While many people love to give their opinion on things, others often don’t feel comfortable telling the truth, especially if you ask them up-front. Moreover, the biggest challenge is that by using the above methods to get feedback, companies fail to ask the right questions. According to Jason Cohen, blogger and founder of Smart Bear Software (view his blog at http://blog.asmartbear.com), the number one way to increase revenue is to get feedback from lost sales. However, talking to existing customers isn’t good enough; you also need to talk to the other 99.9% of your potential customers. This can be challenging to achieve. Companies often neglect to get feedback from their employees. They may not use the company’s product or service as often as the customers, but they are the ones who interact with customers and hear their complaints. Make your employees feel valued by asking them for their feedback on your company’s product/service – they often do have innovative ideas. OneDesk is the ideal tool to use to get feedback. This web-based social business application is easy to use and easy for anyone to access. Companies can therefore reach out and collect feedback from a wider pool of surveyees and reach potential customers. Unlike when conducting surveys through forms, allows for interaction and team collaboration. 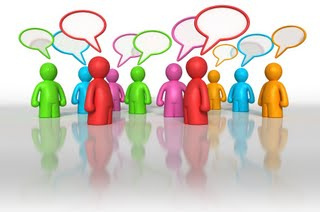 If you are unclear about what your customers or employees mean by their feedback, simply use the social collaboration tools such as chat or discussion forums to clarify feedback and pinpoint their exact needs. Customers can also vote on and discuss each other’s feedback – this allows companies to gain more insight as to what customers need.